For answers to common questions we get about Canadian Quaker positions on the boycott of illegal settlement products please see this blog post. After a long history of supporting nonviolent peace initiatives, participating in dialogues, sending letters to government, and making representations to diplomats, Canadian Friends (Quakers) felt the need to pool their information and experience to set a common basis for their advocacy efforts for peace in Israel and Palestine…. We are moved by the sufferings of the Palestinian and Israeli peoples. This suffering has gone on too long and must not be allowed to continue. We are aware that Israel was born out of horrific violence perpetrated on the Jews – however, the Palestinians were not the perpetrators. We know that both Israelis and Palestinians have committed acts of violence against each other. We are also aware of the huge inequality of power between them. As a people of faith, we challenge all people, and particularly people of faith, not to put their trust in tanks or bombs or military aggression, but to open themselves to the Spirit of Love which counsels a path of nonviolence. Such a path recognizes the dignity of all peoples and seeks solutions to international conflicts through just and peaceful means. As Quakers, we reject the use of military force and violence by state or non-state actors. We believe that strategies of nonviolence are the only ethically sound, and ultimately more successful, strategies for overcoming oppression. Our experience with nonviolence has shown that there is a place both for acts of resistance and for the provision of a safe space for individuals of opposing views to dialogue. There have been many dialogue activities, and further opportunities for such work may open up. However, Palestinian nonviolent activists and their Israeli allies agree that the current need is for strong acts of nonviolent resistance and international advocacy. So starts Quakers’ collectively held position on Israel/Palestine (PDF), developed in 2009. Inside Ramallah Meeting House in the West Bank. An Epistle from Ramallah Friends started a multi-year discernment process among Canadian Friends leading in 2014 to our support for the boycott of products made in illegal settlements. Early in 2013, CFSC began considering this request to support the Boycott, Divestment, Sanctions movement as a nonviolent measure advocated by those working to bring lasting peace to the region. In the Addendum, Quakers call upon the Canadian government to require that products made in the illegal settlements be accurately labelled as such, and encourage Canadian Friends, individually and corporately, to boycott products of illegal Israeli settlements in the West Bank and East Jerusalem, including those wrongly labelled as “made in Israel.” Download the Addendum to find a list of websites with more information about BDS. More recently Friends have called for Canada to end its military relationship with all states, including Israel, that may use Canadian arms to violate basic human rights, and held a full weekend study session on the topic Palestine/Israel, Nonviolence, and F/friends (videos are available). In addition to the coverage you are already getting from Canadian news sources, learn about recent news and events from a different perspective through sources like the International Middle East Media Centre or B’Tselem. Engage in ecumenical or interfaith dialogue. Quaker Meetings can connect with other congregations and faith groups to provide spaces for mutual learning. Many Quakers have a great deal of experience in the region, which they would be happy to share. Many others do not have experience but are interested in learning more. Contact us if you need assistance in connecting with other faith groups or in finding presenters for events. Read our statement on becoming founding members of the No Way to Treat a Child campaign in Canada and consider supporting the campaign. Boycott products made in illegal settlements in the West Bank and East Jerusalem and labelled incorrectly as “made in Israel”. Write to your local newspaper and to the companies you are boycotting to explain your decision and request that they reconsider their practices. You can ask CFSC for sample letters. Have an ecumenical/interfaith meeting with retailers selling illegal settlement products to express your concerns. How will you support the human rights of Palestinians and Israelis? How can we assure that Israelis and Palestinians shall be free from collective punishment, arbitrary detention, indiscriminate attack, and other abuses of their basic dignity and human rights? How can the State of Israel, Hamas, and the Palestinian Authority all be held accountable for their actions, including any violations of international law? Canada’s official policy states, “As referred to in UN Security Council Resolutions 446 and 465, Israeli settlements in the occupied territories are a violation of the Fourth Geneva Convention. The settlements also constitute a serious obstacle to achieving a comprehensive, just and lasting peace.” How do you respond to Israel’s maintenance and expansion of settlements in the West Bank, and East Jerusalem, which Canada acknowledges are illegal and detrimental to the peace process? Visit Israel and include a tour of the West Bank offered by Palestinians living under occupation (e.g. Siraj centre. Note CFSC does not run these tours and as such is unable to accept responsibility for security risks if you choose to participate). 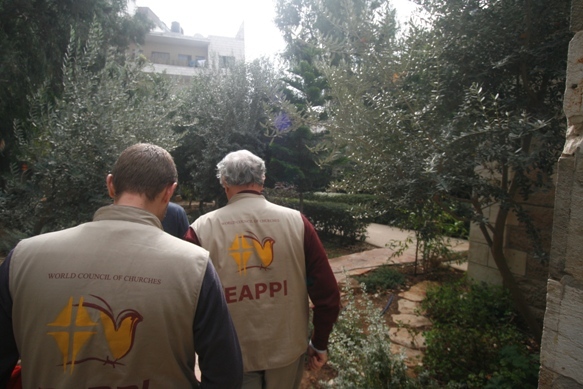 Friends, through an individual grant from CFSC, have served as Ecumenical Accompaniers (EAs) with EAPPI. 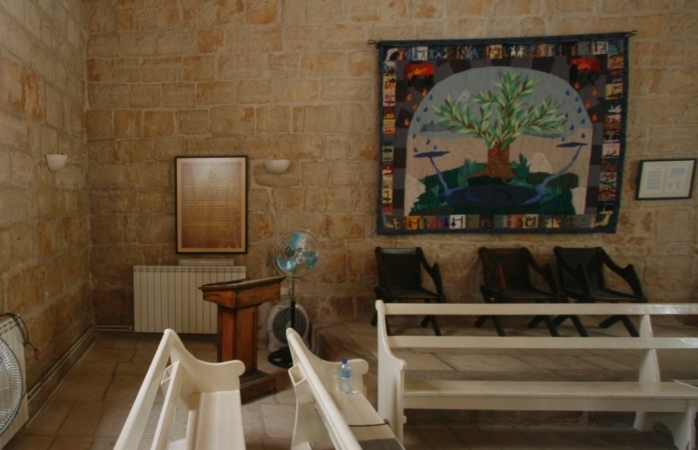 Above, two EAs during a visit to Ramallah Quaker Meeting House in the West Bank. EAs spend three months witnessing and documenting life under occupation, in some instances helping to deescalating confrontations through their unarmed presence. Upon return home EAs work to share what they’ve seen and promote positive change. For decades, Friends have supported nonviolent peace initiatives, participated in inter-faith dialogues, communicated with governments, and made representations to diplomatic missions. CFSC has an Israel/Palestine Working Group actively engaging on our concerns. There are several other resources produced by Canadian Friends that may be helpful to you:Canada and Israel: The Business of Militarism, an article discussing some of our research into the military relationship between Canada and Israel. This research also informed our statement on Canada’s involvement in the arms trade. 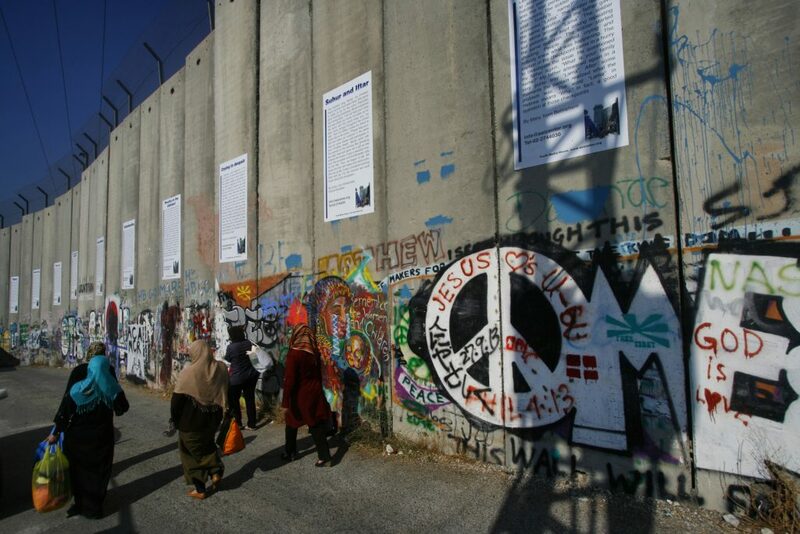 Other videos recorded by Linda cover the topics of militarism in Israeli society, historical and modern day popular resistance by Palestinians, Christian Peacemaker Teams in Hebron, and Israeli demolitions of Palestinian homes. Note that the videos express the beliefs and experiences of the speakers, and not necessarily those of CFSC/Canadian Friends. 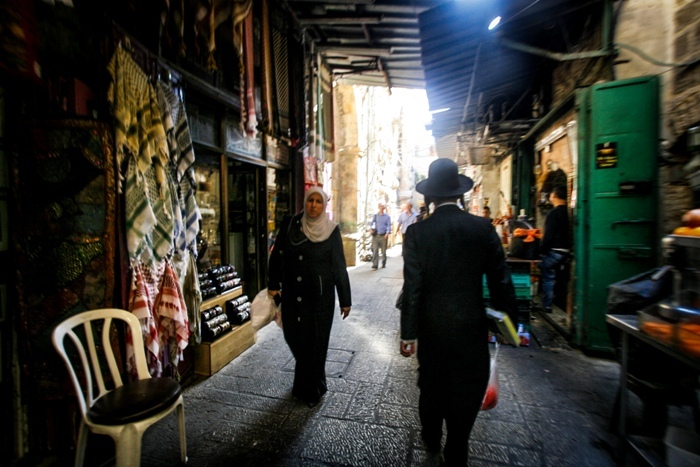 In 2013 CFSC staff visited the Palestinian Centre for Rapprochement between People (PCR) and wrote a report, Reflections from Israel and Palestine. Friend Sara avMaat produced a report of her visit with PCR in November 2011 as a part of the Ecumenical Accompaniment Programme. 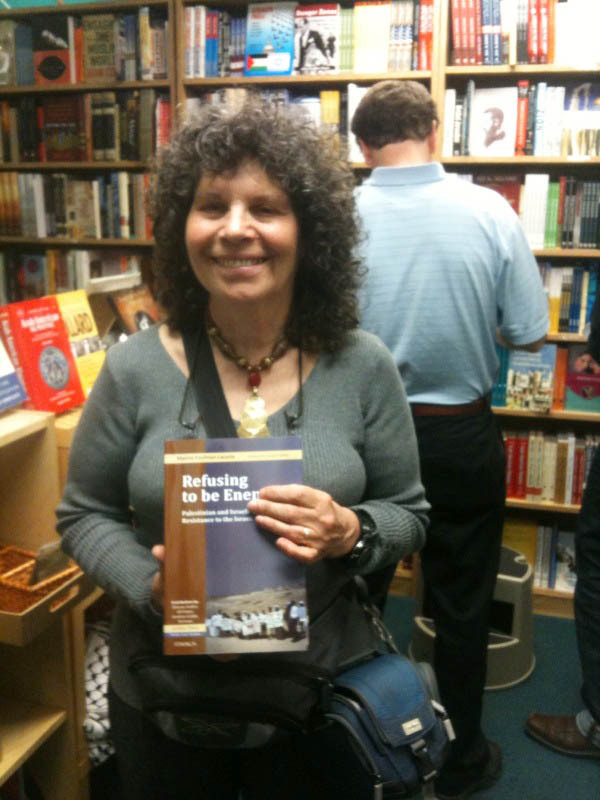 Maxine Kaufman Lacusta, an Associate member of CFSC, has written a book which we highly recommend, Refusing to Be Enemies: Palestinian and Israeli Nonviolent Resistance to the Israeli Occupation. The book opens with Maxine introducing us to several nonviolent activists who tell us why they chose nonviolence and why they got involved in activism against the occupation. 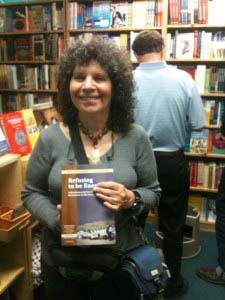 Through the voices of Palestinians and Israelis, the book then moves on to reflect on the last several decades of nonviolent activism in Israel/Palestine with its successes and failures, on the question of both the triumphs and challenges of nonviolent organizing, and on the activists’ hopes and visions for the future. Northern Spirit Radio did an interesting interview with Maxine about Refusing to be Enemies. There are many reviews of the book available online as well, like this one from Friends Journal and this one by Dave Greenfield of Saskatoon Monthly Meeting. Also highly recommended is When the Rain Returns (2004). While dated, this book is still very useful in sharing a balanced set of observations from the members of the International Quaker Working Party on Israel and Palestine during their visit to the region. Rick McCutcheon, a Canadian Friend, was a member of the working party, and has contributed a chapter. The book is informed by Quaker principles, one of which is that in crafting a settlement, all interested parties must be genuinely consulted and engaged with. The introductory chapter provides a balanced history of the region. Here is a one-page review of the book.